Samsung Galaxy J5 (2017) smartphone was launched in June 2017. The phone comes with a 5.20-inch touchscreen display with a resolution of 720x1280 pixels at a pixel density of 282 pixels per inch (ppi) and an aspect ratio of 16:9. Samsung Galaxy J5 (2017) is powered by a 1.6GHz octa-core Exynos 7870 processor. It comes with 2GB of RAM. The Samsung Galaxy J5 (2017) runs Android 7.0 and is powered by a 3,000mAh non-removable battery. As far as the cameras are concerned, the Samsung Galaxy J5 (2017) on the rear packs a 13-megapixel camera with an f/1.7 aperture and a pixel size of 1.12-micron. The rear camera setup has autofocus. It sports a 13-megapixel camera on the front for selfies, with an f/1.9 aperture. Samsung Galaxy J5 (2017) based on Android 7.0 and packs 16GB of inbuilt storage that can be expanded via microSD card (up to 256GB). 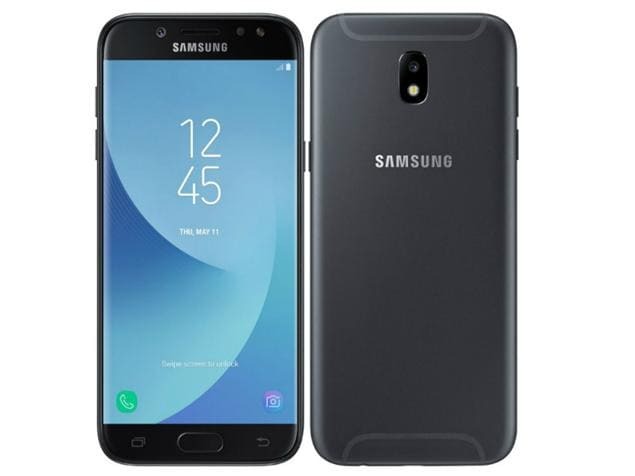 The Samsung Galaxy J5 (2017) is a dual-SIM (GSM and GSM) smartphone. Connectivity options on the Samsung Galaxy J5 (2017) include Wi-Fi 802.11 b/g/n, GPS, Bluetooth v4.10, Micro-USB, FM radio, and 4G. Sensors on the phone include accelerometer, compass/ magnetometer, gyroscope, proximity sensor, and fingerprint sensor. The Samsung Galaxy J5 (2017) measures 146.30 x 71.30 x 7.90mm (height x width x thickness) . It was launched in Black and Gold colours. J5 2016 is trash. I bought one new about 8 months ago, never dropped it or anything. I've always been good with electronics, computers, phones, etc so I know when I have a problem with a device, it's the device, not me. I don't know if it was the Android 7 update or just a faulty phone but I can't seem to do anything right on this piece of garbage phone. The screen turns on randomly even when I'm not touching it. Google chrome will not stop refreshing for no reason. Spotify and other music apps stop playing music for no reason. Everything is glitchy and just doesn't work right. Tried factory restoring and that didn't help. Still tons of problems. Seems to have a problem with literally everything you tell it to do.